Replace once a year. Refer to page 9 of the Installation Manual for detailed instructions. Shown left, the Honeywell RO system has three cartridges, only two need replacement. 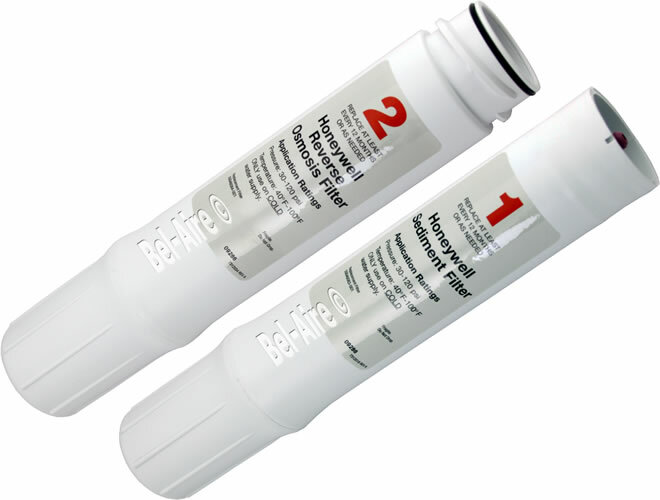 This kit includes the two necessary filters, these cartridges are high-lighted in yellow and labeled 1 and 2.